It's hard to be mad at him for playing with his food looking so cute in the Stella McCartney Kids™ Monster Short Sleeve Tee. Veggie monster graphic along the front. 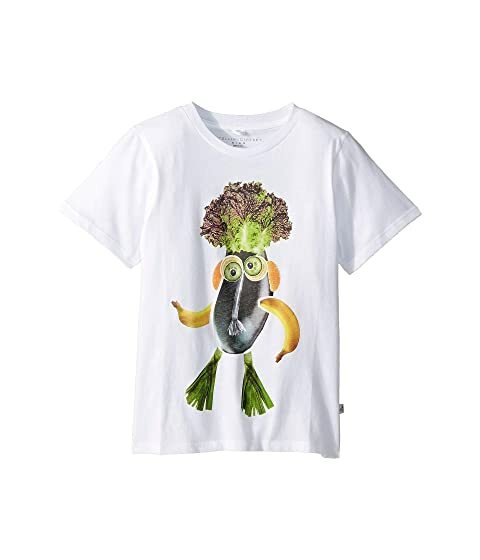 We can't currently find any similar items for the Monster Short Sleeve Tee (Toddler/Little Kids/Big Kids) by Stella McCartney Kids. Sorry!